Headlines, hot news, and conversation starters on January 5, 2017! 1 Happy birthday, Liza Soberano! 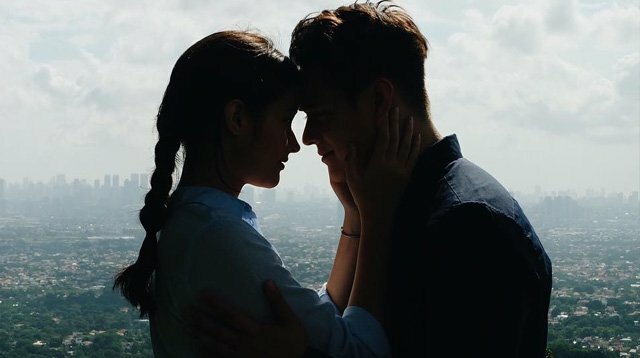 The actress turned 19 on January 4, and Enrique Gil pulled out all the stops to make his leading lady feel very special. We already know he surprised Liza with her dream Chanel bag—but the actor also composed a heartfelt greeting for Liza and shared it on Instagram. His caption reads, "Before this japanese cutie ends her bday i want to be the last to say happy birthday to my <3 another year has gone by and god you are shining brighter each day stay the same and stay kind at <3 as u always are i love you and happy birthday. rock this year" Kilig! 2 Andrew Garfield just admitted that he once spent a day in Disneyland utterly stoned! In a video for W magazine, the actor revealed that he celebrated his 29th birthday in the Happiest Place on Earth under the influence of marijuana. "They came out to L.A. to surprise me. We went to Disneyland, and we ate pot brownies. It was literally heaven," he recalled. Andrew even recounted *almost* buying a Chewbacca backpack and freaking out while riding It’s A Small World. LOL! 3 There’s a new modus operandi brewing in the country, and it’s seriously disturbing. The Philippine Star reports that impoverished Filipino women are being paid to become surrogate mothers for foreigners. Four women, detained at NAIA Terminal 1 on January 1 before a flight to Bangkok, said they would be given $8,700 (P426,300) in installments throughout the pregnancy. "This is a new modus operandi of a human trafficking syndicate that preys on our Filipino women, who are enticed to bear the children of strangers for a fee because of their poverty. We cannot allow this to happen," Bureau of Immigration Commissioner Jaime Morente said.